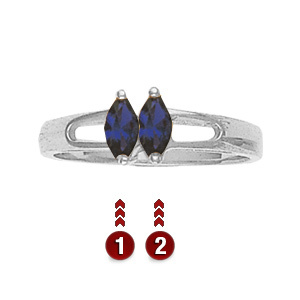 The sterling silver Memorable Marquise ring offers personalization for two marquise-cut simulated gemstones. The Memorable Marquise ring measures about 6mm at the top center. Stone size: 5mm by 2.5mm. Made in USA.